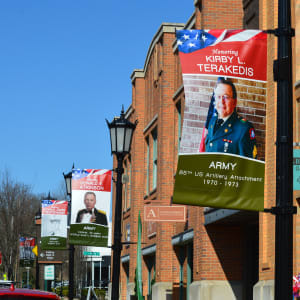 The Northville Chamber of Commerce is proud to present the Military and Veteran Banner Program recognizing and honoring those brave individuals who are serving or have served in the United States Armed Forces. 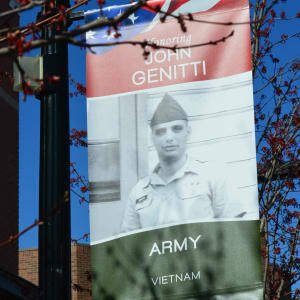 Honor your veteran or active-duty service member! 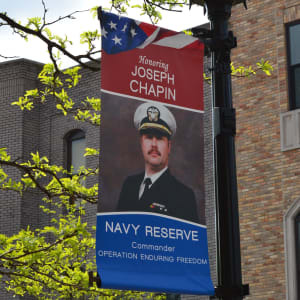 Download the order form by clicking on the application below. 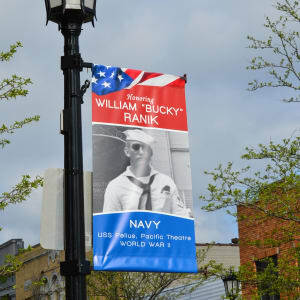 Banners will display a photo of the service person, as well as their name, dates of service, and branch of the United States Armed Forces. 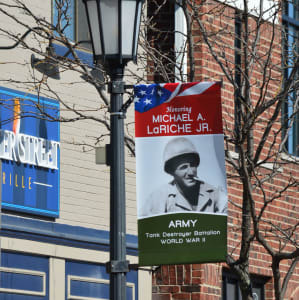 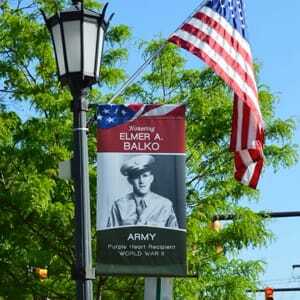 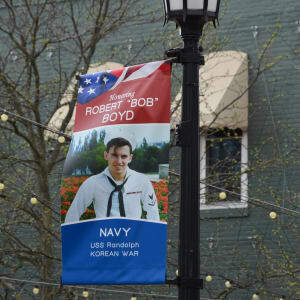 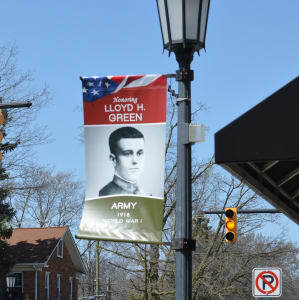 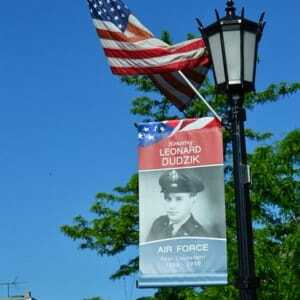 Banners will be located throughout Downtown Northville during the months of May and November in celebration of Memorial Day and Veteran's Day. 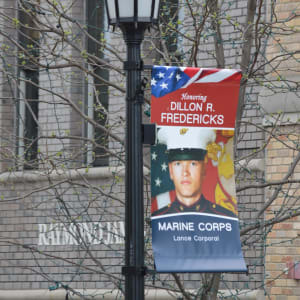 Families and friends who have participated in the program have shared interesting and sometimes heroic stories about their service member. 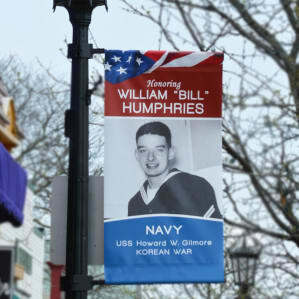 To view the biographies of the honorees click on the biography link.